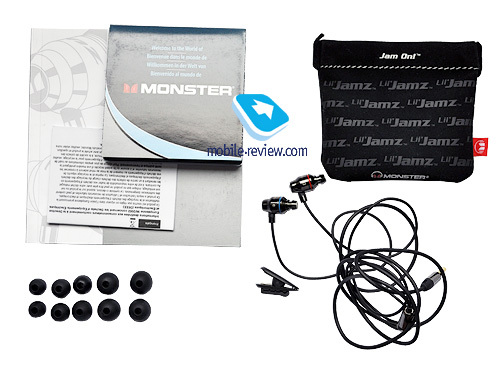 Lil' Jamz headphones is one of the most accessible models from Monster Cable. 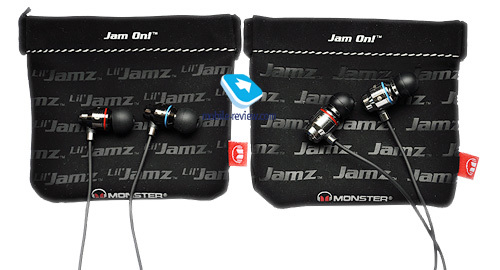 It costs around $130 in Russia and competes directly with the Jamz model from the same manufacturer. I have already reviewed a more "advanced" model and did not like it at all. I was skeptical towards its more "simple" counterpart and wrongly so. I have to praise the packaging of Monster Cable once again. Everything is neat without any excessive decoration. It is an excellent gift option. Inside you find the same accessories as for Jamz – pouch, tips and the cable clip. There is one difference though– tips are offered not in three sizes, but in five. Remember that Lil' Jamz is positioned as the more simple model. Lil' Jamz looks like differently colored and diminished Jamz. 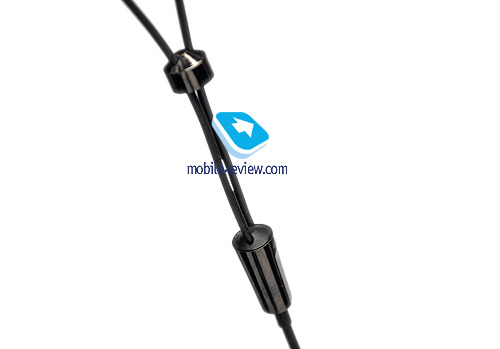 The body is made of metal with the red ring on the right earphone and blue on the left one. Courtesy of a smaller size the fixation has improved. A wider choice of tips is also important, because it is easier to choose the right variant. I still believe that branded SuperTips from the box with Turbine could have been added to Jamz. 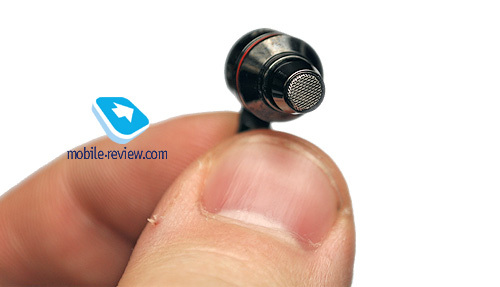 They improve the noise insulation and ergonomics immensely. As to the design and the cable everything is traditionally high class. The cambric tubing is solid with the minimal microphone effect. If you put the cable behind the ear then the headphones are fixed well and the microphone effect almost entirely disappears. The plug is gilded and the cable features a roller to fasten it on the chin or the back of the head, which makes a perfect solution together with a cable clip. You can complain that if damaged the cable cannot be replaced, but let's stay positive. Noise insulation is determined by the quality of tips. The model keeps the sound for the listener, but in the metro the noise easily gets inside. Remember again about SuperTips and their gel base. It's time to grumble about marketing again. 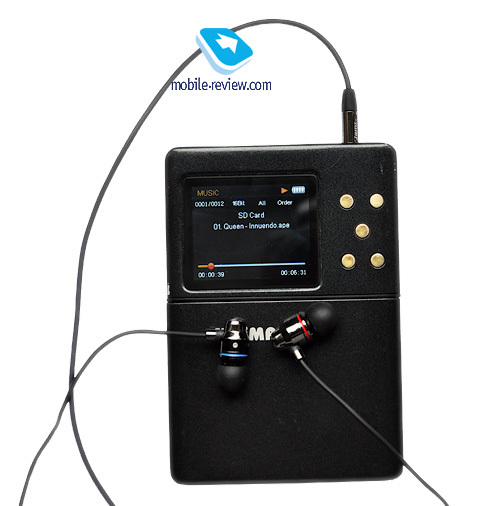 The main sound source was Hifiman HM-801 player and Prime Test CD1. Standard tips were used and the warm up period took around 10 hours. Lil' Jamz has a dark sound with slightly raised low frequencies. The bass depth is properly felt and is not superseded by the mid bass, which produces a positive effect no matter what style of music you listen to. The mid frequencies have no particular peaks and the vocal parts are reproduced naturally and feature no sibilants. At high frequencies the sound lacks clarity, but thankfully there were no attempts to color the sound. The stereo pan is wide and has some depth with good localization. 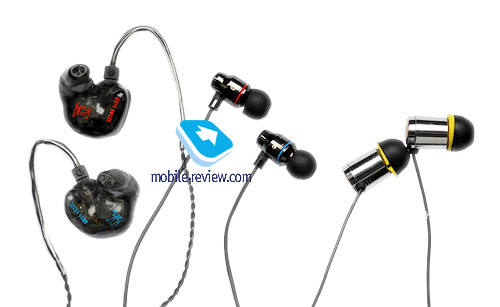 The details are decent and the model generally exceeds the level offered by traditional dynamic headphones. The dynamic range is broader than in Jamz and classical music illustrates the difference well enough. Do not expect miracles from Lil' Jamz, because the sound is flat nonetheless. The attack is not blurred, but the fast music is still boring to listen to. 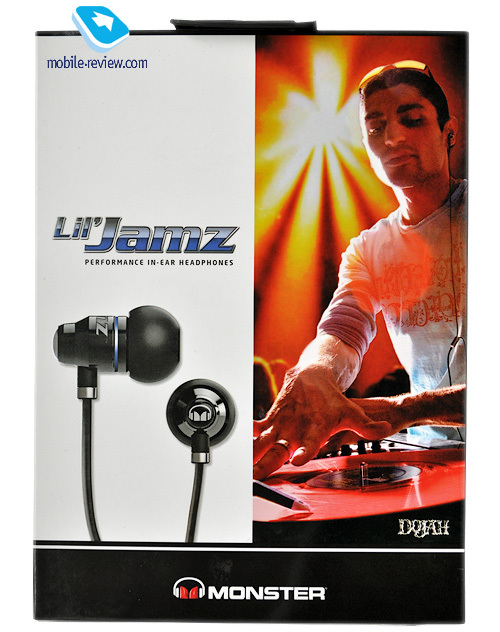 Lil' Jamz is not picky to different music genres and can play any recording to the best of its abilities. 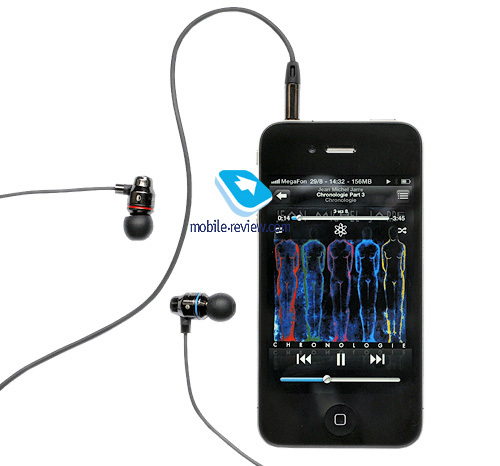 I tested the headphones with iPhone 4 and this model has no strict requirements to the sound source. Taking into account the version with ControlTalk remote control such a bundle can be quite useful. Lil' Jamz costs around $130. This amount can also buy you Sennheiser IE6. The latter wins only in the emotional presentation, but loses in balance and noise insulation (which is vital for portable use), so overall Lil' Jamz comes out on top. Monster Cable lineup is surprisingly uneven. Here you have a flop in Beats Tour and quite a decent Heartbeats. Jamz also loses to cheaper Lil' Jamz. Pricing for Turbine series, where a much more advanced Pro Gold costs just $48 more than the basic Turbine, is outright weird. I do not call to raise the price of Pro Gold, but rather decrease the price of ordinary Turbine. 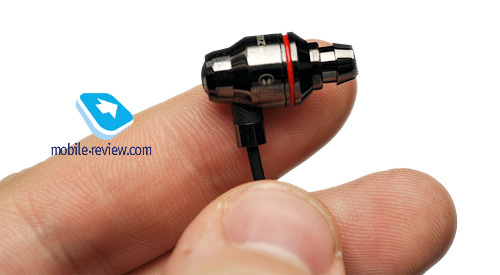 Finally, we get a traditionally high quality build, good cable, decent sound and fair price. 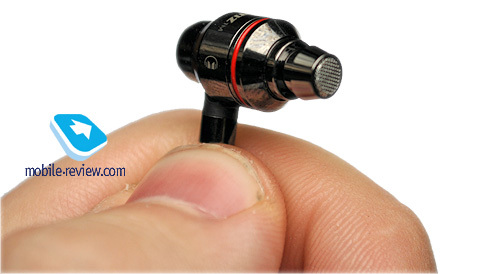 The same amount will buy you plastic headphones from Sennheiser IE series or even two pairs of Silver Bullet. But there is no point in it. The sound quality will not improve two times. In other words it's worth trying. Buy a pair for yourself or as a present.